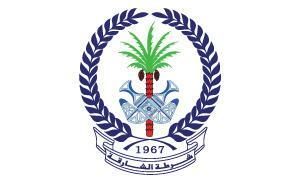 AKCP distributor, SMARTEL worked together with the Sharjah Police Force to install a Temperature, UPS, CRAC and Generator monitoring system for their server room. Using AKCP’s securityProbe platform and sensors, SMARTEL were able to design a complete sensor monitoring system for Sharjah’s server room that automatically triggered Email and SMS Notifications to data center personnel. SMARTEL used an IO-Digital 8 Sensor to monitor alarm dry contacts from the server room’s UPS, CRAC and Generator systems. The IO-Digital8 ships in two options. The first option has a single RJ45 connector at one end and 8 x2 PIN Dry Contact connectors along one side. The second option also has a single RJ45 connector at one end but the two 8 x2 PIN Dry Contact connectors are replaced by x2 RJ45 Connectors – each compatible with 4 dry contacts. In this project, SMARTEL opted to use the 8 x2 PIN Dry Contact connectors and monitored alarm signals that were being sent from the UPS and CRAC systems. They were also able to connect their generators to the IO-Digital8 and use the dry contact runtime feature to know, not only when the generator was turned on or off, but also to know for how long the generator had been running. They used this data to schedule generator maintenance and increase the lifetime of their data center equipment. In this project, SMARTEL opted to use the 8 x2 PIN Dry Contact connectors. They monitored low voltage alarms that were being generated from the UPS and CRAC systems. SMARTEL were also able to provide the Sharjah Police with a number of temperature arrays for multi-point temperature monitoring of their server room environment. 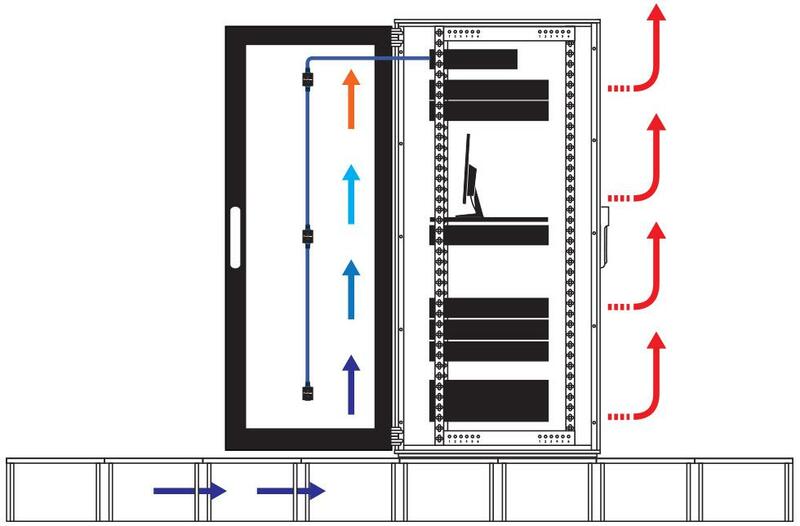 Motion Detectors were added to sense movement in sensitive server room locations. Notifications were set up to detect movement outside of normal data center maintenance hours. AC Voltage Sensors were used as a redundancy measure to detect the presence and absence of power to critical systems. Notifications from the AC Voltage Sensor were linked to the dry contacts from the UPS systems. https://www.akcp.com/industry-news/sharjah-police-uae-ups-crac-generator/AKCP’s advanced notification suite can cross reference values from multiple sensors to alert or ignore certain sensor changes, thus eliminating unwanted notifications. 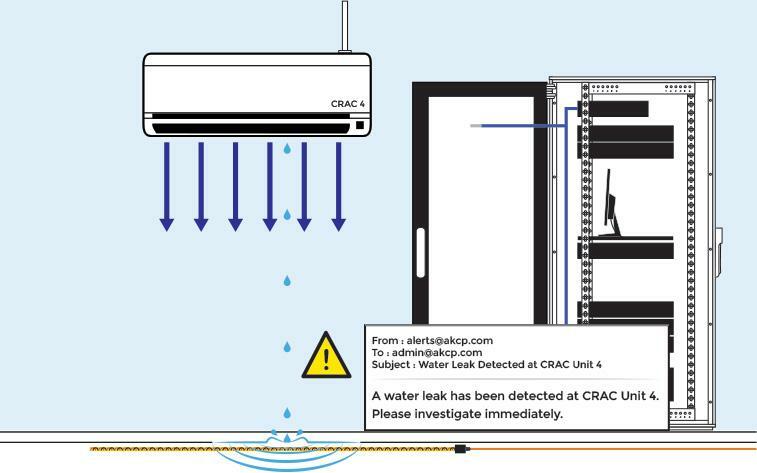 Two of AKCP’s ropeWater sensors were installed to accurate monitor water leaks along a 20ft passage of CRAC units. AKCP’s ropeWater sensors are designed to detect water leaks over a large area, protecting essential equipment from potentially harmful water damage.